As human rights due diligence laws are enacted around the world, it is vital that we compare their features and strengths and weaknesses to learn how to build and improve on these early examples. This database compares legislation, regulation, soft law, and other initiatives globally that regulate work or promote human rights due diligence by business in their supply chains and corporate families. 33 initiatives have been coded. More will be added as initiatives are enacted. Today, over 80 per cent of global trade occurs in global production networks (supply chains) associated with a transnational corporation (United Nations Conference on Trade and Development 2013), with around 453 million workers toiling within these complex arrangements at a conservative estimate (International Labor Office 2015). That is at least one in five workers globally (International Labor Office 2015). IWorldwide there is a growing incidence of precarious work producing heightened vulnerability for populations in both richer, industrialised nations as well as poorer ones. Efforts to reduce the absolute numbers of working poor have stalled, with an estimated 327 million people continuing to live in extreme poverty, and 967 more in moderate and near poverty (International Labor Office 2016: 19). Most of the working poor toil outside legal regulation. They are what is known as ‘informal workers’ or the ‘precariat’. Problematically, any reduction in poverty rates has not been accompanied by a decrease in the rate of informal work. According to the International Labour Organisation’s estimates, informal employment, as a percentage of non-agricultural employment, continues to account for over 50 per cent of all employment in half of the countries with comparable data. In one-third of countries, it affects over 65 per cent of workers (International Labor Office 2016: 19). What laws and regulatory initiatives can improve the laws of these workers? This page documents the search for regulatory solutions. There are a growing number of business and human rights initiatives that attempt to eliminate the most egregious labour abuses within supply chains. What is working and what is not? Garment workshop in Mae Sod, Thailand, on the border with Myanmar. The factory is staffed by Burmese ethnic minorities. Source: Shelley Marshall Photography. Over time, further descriptions of regulatory models will be added to this section of the website. Mathadi Boards in Maharashtra, India, regulate the work of workers who load and unload ships at docks, trucks and markets and so on. They often carry 100 kg loads on their heads. This work is a vital part of the transport of goods in global supply chains. The Boards were created in the late 1960s to provide a living wage for workers whose work sat outside labour law. Mathadi boards operate as 'mini welfare states' setting wages, operating canteens that provide cheap and nutritious food, and providing free health care for workers and their families. The Boards have been remarkably successful at eradicating poverty and improving the lives of these workers. Strength: the Boards are truly tripartite, meaning that they are overseen by unions, labour users and the government together and they regulate work regardless of employment status. Limitation: the Boards only regulate loading work in one state and would be difficult to scale up. 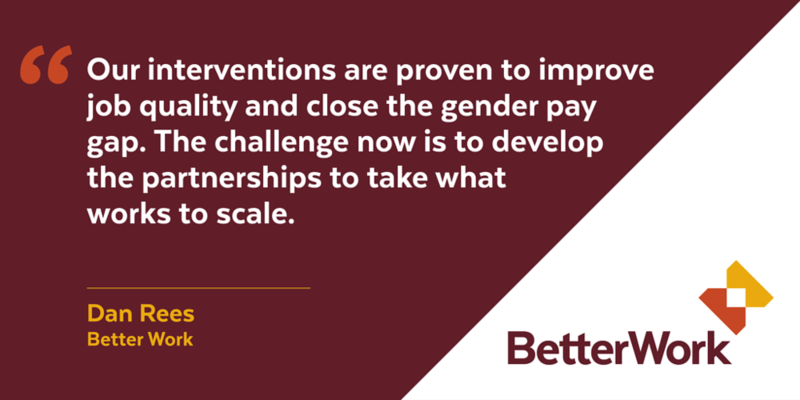 The Better Work program started with an experiment in Cambodia called Better Factories Cambodia. The Cambodian model was initially given teeth by linking preferential access for garments produced in Cambodia to American markets. When the US-Cambodia Garment trade deal was over, the biggest threat to factories who fail to comply with Cambodian labour laws and international standards became being named and shamed and the loss of export licenses by the Cambodian Ministry of Commerce. Strengths: Monitoring is carried out by the International Labour Organisation which is both independent and has so far been incorruptible. The program has been readily replicable in different countries. Limitations: Only factories producing for export are covered. The project has not thus far covered non-standard, informal workers who work in smaller workshops within the supply chains of these larger factories.